Georgia's National Bank has introduced another tool to the process of management of international reserves - futures contracts. The process began in March and the visit of the World Bank mission to the country is associated with this project, the National Bank of Georgia told Trend on Friday. According to the report, futures are a financial agreement which allows for more effective portfolio management of international reserves and profitability as well as provides risk insurance of the interest rate of the international reserves portfolio. When trading futures contracts, the parties agree to buy or sell a standard asset on the day of executing a contract, indicating time and price. 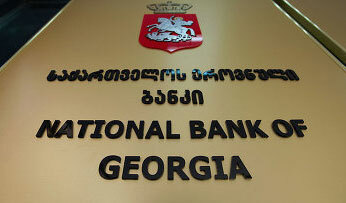 As a result of cooperation with the World Bank in recent years, a phased expansion of the list of financial instruments used by the National Bank of Georgia in the management of international reserves became possible in the country. Several important projects have been gradually implemented in Georgia in cooperation with the World Bank since 2009. These include introduction of the modern management system of international reserves and strategic allocation of international reserves. The National Bank of Georgia continues its cooperation with the World Bankand plans implementation of other important projects in the future.